“You can expect to see the Duke and Duchess of Cambridge, Prince Harry and Ms. Markle at Sandringham on Christmas Day,” a Kensington Palace spokeswoman said. Prince Harry and actress Meghan Markle during an official photocall to announce their engagement at The Sunken Gardens at Kensington Palace on Nov. 27, 2017 in London. The Duchess of Cambridge did not attend Christmas services at Sandringham in 2010 when she was still engaged to Prince William. She spent Christmas with her family before her wedding to William the next year. Other royal fiances have traditionally not attended either. Mike Tindall, the husband of Queen Elizabeth’s granddaughter, Zara Philips, also did not join the royal family for Christmas before the couple married. 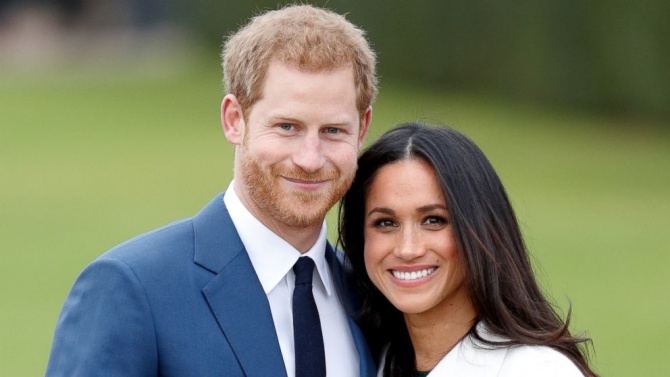 Markle, 36, and Harry, 33, announced their engagement Nov. 27, and, just a few days later, attended their first official engagement as a newly engaged couple in Nottingham, England. The couple plans to wed at Windsor Castle next May. Britain’s Prince Harry and his fiancee Meghan Markle arrive at the Terrence Higgins Trust World AIDS Day charity fair, in Nottingham, England, Dec. 1, 2017. Neither Buckingham Palace nor Kensington Palace has confirmed whether Markle and Harry will participate in the other three days of activities with Queen Elizabeth at Sandringham. The royal family traditionally gathers for gifts on Christmas Eve, lunch and dinner on Christmas and the traditional Boxing Day shoot. Markle and Harry will be seen in public with other royals when they attend the traditional Christmas Day church service on the queen’s private estate in Norfolk. Buckingham Palace has said Queen Elizabeth and other members of the royal family will join the congregation for the Christmas morning service at St. Mary Magdalene Church. A view of The Church of St Mary Magdalene on Queen Elizabeth II’s Sandringham Estate, June 5, 2015, in Norfolk, England. Markle called Queen Elizabeth “an incredible woman” in her first joint interview with Harry after their engagement announcement last month. “It’s incredible, I think, to be able to meet her through his lens, not just with the honor and respect he has for her as the monarch but the love that he has for her as his grandmother,” Markle said. “All of those layers have been so important for me so that when I met her, I had such a deep understanding and, of course, incredible respect, for being able to have that time with her. Added Harry with a smile, “And the corgis took to her straight away,” referring to Queen Elizabeth’s beloved dogs.